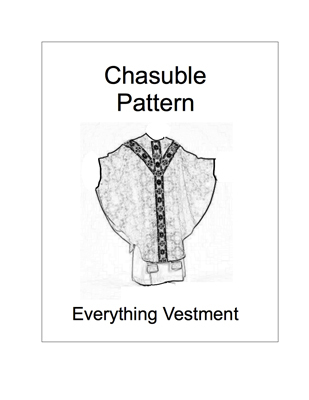 Vestment patterns to make a chasuble, alb, stole or other vestment item. Whether you are planning to make a full vestment set or are just wanting to make a stole as a gift to a priest, Everything vestment has the pattern you need. And after selecting your pattern, be sure to pick up some fabric and trim as well. Make a chasuble, stole, maniple, burse and veil our vestment patterns. Complete instructions are included. Our size regular pattern makes a finished chasuble that is approximately 43 inches long, 54 inches wide and will usually fit most people. But if you are looking for a larger size to fit extra large men, our extra-large pattern will produce a finished chasuble that is 45 inches long and 58 inches wide. 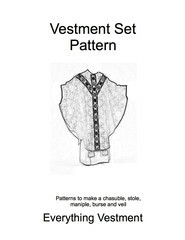 In addition to the pattern, here are the supplies you need to make a full vestment set. • One piece of canvass - 20" x 50"
Are you interested only in making a chasuble? Then this chasuble pattern is the right choice for you. 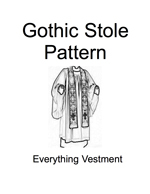 We include a pattern and full instructions to make a gothic chasuble. Stole pattern must be purchased separately. Our chasuble pattern is just $16.95. 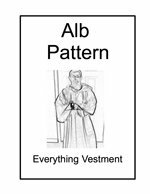 Our Vestment Alb Pattern available from the Everything Vestment Store provides you with the pattern and know-how to make a vestment alb. Our Gothic Stole Pattern will enable you to make a fully lined, Gothic stole. 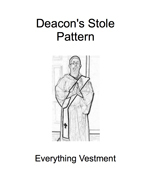 Our Deacon's Stole Pattern provides you with the pattern and know-how to make a fully lined, deacon's stole. 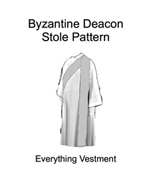 This is a pattern plus instructions for making a Byzantine Deacon's Stole. Cost is $16.95 plus shipping and handling. 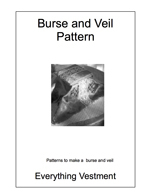 This pattern helps you make a burse and veil. 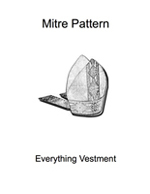 This pattern will help you make a mitre.